Seems like March came in like a lion but didn’t come close to going out like a lamb. Wet weather driving conditions can be treacherous this time of year. From poor visibility to water-filled potholes, one wrong turn can leave even the most experienced driver in complete panic mode. Each year, wet pavement is a contributing factor to over 1.2 million car crashes. That’s insanity! Here at Metromile, we want you to be safe every time you get behind the wheel. Driving on wet pavement can be tricky, but with these tips you’ll be on your way to safer travels this Spring! Driving safety starts before you put the car in Drive. Do I sound like your Mom? Good. Your goal this Spring should be to A) See and B) Be seen. Make sure your windshield wipers are in good condition (sometimes old, dull wipers can leave film or streaks on the glass), and all of your external lights (headlights, tail lights, blinkers, etc.) are working properly. Always turn your headlights on while driving in the rain – it’s even a law in some states. Check that you still have a good amount of tread left on your tires by implementing the Lincoln Test. Use a tire pressure gauge to test the pressure of your tires, and inflate if necessary. Skip cruise control. On a dry day, cruise control is a perfectly safe and lovely thing to use. On wet and rainy days, the chances of losing control of the vehicle are greater. In order to avoid losing traction, the driver may need to reduce speed by lifting off the gas pedal. This cannot be accomplished when using cruise control, which may cause the vehicle to go into a skid. Skip the cruise control when it’s raining to maintain better control of the car. Leave plenty of room. When visibility is low, it is especially difficult to see how the drivers in front of you are behaving. By leaving plenty of room between you and the vehicle in front of you, you’re reducing your chances of crashing into them if you suddenly lose traction. Respond to hydroplaning. If your tires are worn and the tread depth is below 2 millimeters, you may experience hydroplaning, especially at higher speeds or in deep water. With even as little as 1.5 inches of water on the road, your tires have to displace 1 gallon of water per second in order to maintain contact with the pavement. If you feel you have suddenly lost traction and the vehicle has started to hydroplane, do not immediately panic and slam on the brakes. Doing this will disrupt the balance of the car and make things much worse. Instead, continue to steer in the direction you need to the vehicle to go. Gently let your foot off the accelerator to slow the car down naturally, without use of the brakes. If you do need to brake, do so lightly in a tapping or pumping motion (only do this if your car does not have anti-lock brakes). To be honest: the biggest factor when driving in wet-weather is you and your judgment. If visibility drops and the roads suddenly become flooded, only you will know if it is time to pull off and wait it out. Sure, it may take you a bit longer to reach your destination, but in the end, the few minutes spent to be safe will always be worth it. 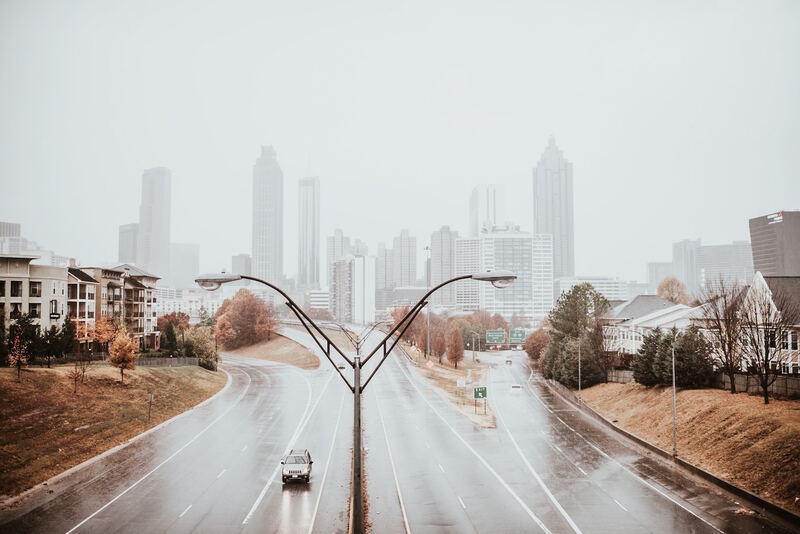 Grab a quick free quote with Metromile and be safe out there this rainy season! In the age of the smartphones and fast food, it seems like everything is a potential distraction. Even the most cautious drivers can get sidetracked by a notification chirp or an errant bonus fry (Jim Gaffigan fans?). With restaurants literally having a drive-thru window, how are we supposed to be expected to pay attention to the road 100% of the time? Fortunately, there are a few best practices for preventing distracted driving. 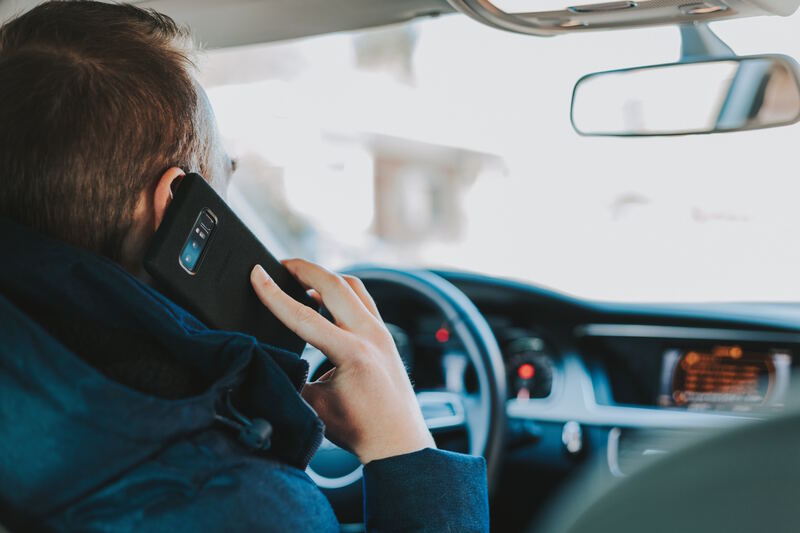 If you promise that you’re not reading this on your phone when you’re behind the wheel, we’ll clue you in on our best tips for deterring distracted driving – they’re easy, we promise! 1. Make adjustments before putting the car in Drive. This includes the seat position, rearview mirror, side mirrors, seat belt, and steering wheel adjustments. This also includes deciding on your route and inputting it into your phone or GPS before ever putting your foot on the gas. 2. Finish getting dressed and putting on your makeup before leaving the house. Besides just being courteous to others who may see you in your half-dressed state, you’ll also reduce your chances of getting into an accident while applying that final swipe of lipstick. 3. Secure children and pets before leaving. By making sure your passengers are securely fastened in, you limit the amount of times you might need to reach into the backseat – and potentially causing a car accident. 4. Avoid eating and driving. We know this one is tough. If you must eat and drive, be sure to pick something that will be easy to hold and eat with one hand – and nothing that will cause a mess, because you might be tempted to clean it up while driving. 5. Only use your cell phone in an emergency. There’s a reason that many states have outlawed texting/talking and driving – it’s extremely distracting. In addition to being ticketed and fined, you may risk your life or others’ lives by engaging your phone while driving (this includes checking email, social media, etc.). Only use your cell if it’s an emergency, and even then it’s best to pull off to the side of the road. 6. If you’re drowsy, pull over. Did you know that drowsiness increases the chances of getting into a crash by nearly 4 times? A government study showed that 37 percent of U.S. drivers have nodded off or actually fallen asleep at least once during their driving careers. If you feel tired, get off the road; don’t try to floor it to get home faster. 7. Limit the number of passengers in the vehicle. 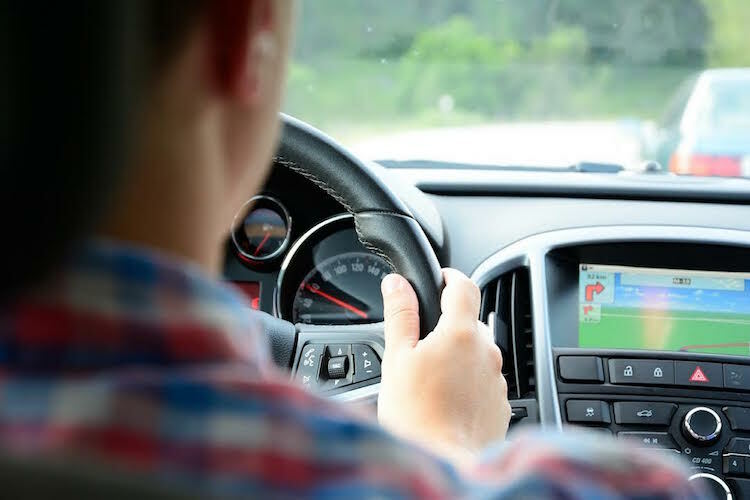 Most states’ driver licensing laws prohibit teens from having teenage passengers in the car with them during their early months of driving solo – and for good reason. Driving with friends (whether you’re a new or experienced driver) can create a distracting driving environment because you’ll be focused on your friends rather than the road. See, didn’t we say that they were easy? Follow these simple guidelines for deterring distracted driving and you’ll be a safer driver, both for yourself and others on the road. As always, be sure to get a quick free quote from Metromile to see how much you could be saving by making the switch! Be safe and see you out there! Ah, vacation. Is there anything better than planning a fun getaway? The excitement of going somewhere new (or somewhere you’ve been 100 times! ), the relaxation, the carefree mindset. The only downside, it seems, is leaving behind your furry friends. It’s hard to fully enjoy a vacation when you know your pet would love it as much as you do. The answer to this dilemma – take a road trip! Road trips offer the best of both worlds: vacation and time spent with your pets. 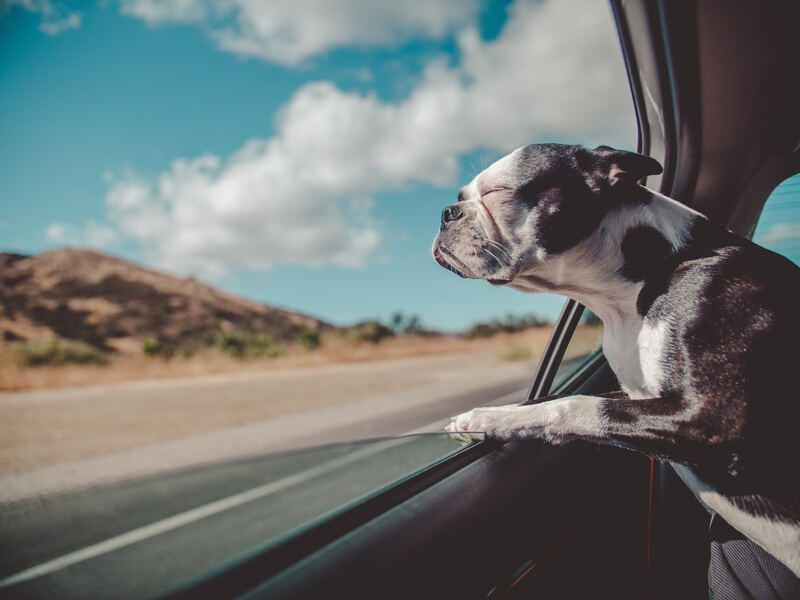 Taking a road trip with your pet can be such a fun adventure for both of you, and with a bit of planning, may end up turning into your favorite vacation to date. Here are our 6 tips for having a safe and fun road trip with your pet. 1. Make a plan. Taking a roadtrip with your pet involves a bit more planning than just loading them into the car and puttering away. Keep in mind that your pet may have forgotten what it’s like to ride in a car, or may only have negative experiences riding in cars (going to the vet is anxiety-inducing for everyone involved). Plan to take your pet out on several shorter car rides, gradually lengthening the time spent in the car, prior to your road trip. This will ease your pet into the idea of riding in a car for longer periods of time. 2. Pack their paperwork. If you’re planning to travel across state lines, be sure to pack your pet’s rabies vaccination records. 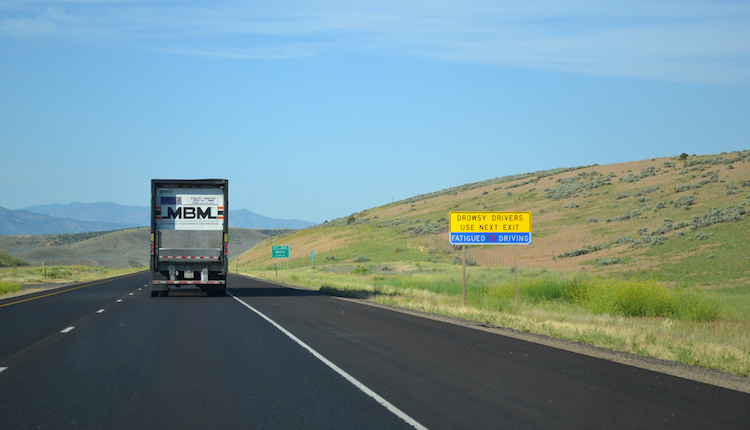 While this generally isn’t an issue, some states will require this at certain interstate crossings or checkpoints (check out the list of states that require it here). Better to be safe than sorry and have to turn back! 3. Plan your route. It’s important to ensure regular breaks throughout the road trip so your pet stays comfortable and happy. Plan to take a 15 to 30 minute break every 4 hours to allow your pet to stretch and relieve themselves. Also, check out this helpful planner tool for traveling with pets – just input your destination and it will provide pet-friendly options for hotels, restaurants, campgrounds, and more along the way. Having a planned route at a leisurely pace will be more enjoyable for everyone – including you! 4. Prepare a bag. Separate out your pet’s items from your own and have the bag handy. Items to pack include: food (at least a 3 day supply), bottled water, a bowl, leash, collar with ID tags, an old towel, waste scoop, plastic bags, grooming supplies, medication and first aid, and any travel documents. Stick to providing your pet bottled water, as drinking water from an area that your pet isn’t used to could result in stomach discomfort or digestive issues. Also, be sure to bring your pet’s pillows, bedding, and toys to provide a sense of familiarity while traveling to an unknown place. 5. Tether while driving. Don’t allow your pet free reign of the car while you’re driving. Not only are unrestrained animals a distraction, they could potentially harm you or themselves while you’re operating the vehicle. A 60 lb. dog becomes a 2,700 lb. projectile in a sudden stop or accident at 35 miles per hour. Small animals like cats, rabbits, or rodents can climb under the pedals and prevent you from operating the vehicle. Harness or buckle your pets in, or place them in a secured crate – it’s safer for everyone! 6. Arrange for care at your destination. If your final destination is at a place or event that will not have facilities for animals, such as a wedding or graduation, arrange for care at your destination. The unfamiliar environment will cause your pet more anxiety than at home, so be sure that your pet is being cared for by professionals. Also, this is a no-brainer, but do not leave your pets unattended in the car – even for a short amount of time. On a hot day, even with the windows open, your car will trap heat and become a furnace. On a cold day, a car can act as a refrigerator holding in the cold and causing the animal to freeze to death. Now that you have the tools, it’s time to plan your next road trip with your pet! Metromile offers Pet Coverage to cover the cost of any pet injuries in case of an accident when you are on the road. Pet Coverage is included with collision coverage on all policies (not available in IL or VA) at no additional charge. Metromile’s Pet Coverage provides up to $1,000 in the event your dog or cat is injured as a result of a covered claim. Click here to get a quote with Metromile today! Are you a road trippin’ vet? Do you take your pets with you every time? Sound off with your best tips for road trippin’ with your furry friends in the comments below! Thanksgiving brings to mind family, friends, turkey, and potatoes. But, it can also bring Thanksgiving traffic to mind. Millions of people travel for the holidays and a majority of them travel by car. In fact, last year 49 million Americans contributed to road congestion for the Thanksgiving holiday. With all those people on the road, we wanted to share our top tips for stress-free holiday navigating. 1. Avoid the busiest travel days: This may seem like a no-brainer, but it’s often times easier said than done. The busiest travel days are the Friday before Thanksgiving, the Wednesday before Thanksgiving and the Sunday following Thanksgiving. 2. The early driver catches the worm: Leave early. Taking data from past holidays, Google has found that leaving by 6 a.m. on Sunday is your best bet. From there on out traffic will only get worse. Headed home? – Leave early; Friday is the best time to head home Thanksgiving traffic free. 3. When in doubt, Podcast it out: Be prepared for traffic anyways and have a playlist, audiobook or Podcast ready to entertain you while you wait it out. Having something to listen to will keep you calm so you show up to Thanksgiving refreshed not stressed. 4. Be courteous: Everyone is pretty much on the road for the same reason, to get somewhere to eat and celebrate with loved ones. We could all use a little extra kindness here and there and making the extra effort to be polite to others on the road can make a huge difference. 5. Be thankful: Traffic is definitely a nuisance and sometimes it’s easier to complain and focus on the negative. But, always remember that the traffic could be worse, or you could not be going to spend the holidays with loved ones. 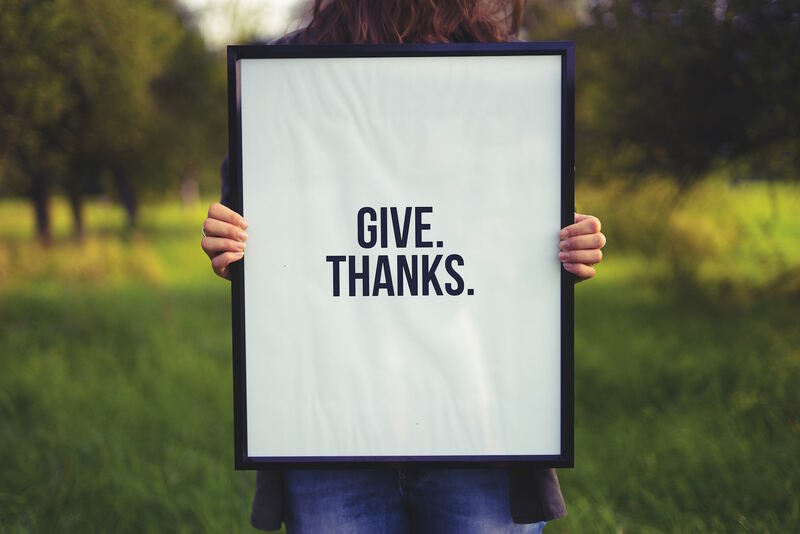 Being thankful for what you have and taking every day one step at a time, and every traffic jam one mile at a time can make that stop-and-go freeway drive that much more bearable. So this Thanksgiving just remember, planning ahead and being prepared for congestion is the best way to avoid the stress that that traffic can cause. Team Metromile is wishing all you road trippers and commuters a wonderful Thanksgiving. If you do have some big holiday road trips in the future, you are in luck if you are a Metromile pay-per-mile car insurance customer. We have a daily mileage cap so you won’t be charged for over a 250 miles a day (150 in certain states), but still will be totally covered all the way to grandma’s house! Do you remember how exciting it was to be 16 and driving for the first time? At the time, all you can think about is driving more, it takes years before you start to brainstorm ways to drive less. In fact, almost everyone fondly remembers their first car and the excitement it provided. Driving is supposed to be fun, after all. Driving is supposed to give you the freedom to do all the things that you want to do in your life. And yet, driving’s become a stress-laden chore for most. You drive to and from work, to the grocery store, to the dry cleaner –gas prices keep inching up, and parking lots seem to always be full. The truth is; we probably rely too much on our vehicles. Cutting down on how much you drive daily can help stimulate a healthier lifestyle, reduce stress, and save a ton of cash on car insurance with usage-based insurance models. And it’s not too hard to do if you’re willing to make a few changes.So here are five of the best ways to drive a little less, to save a little more money. This is probably an obvious tip but try to at least live closer to your work. 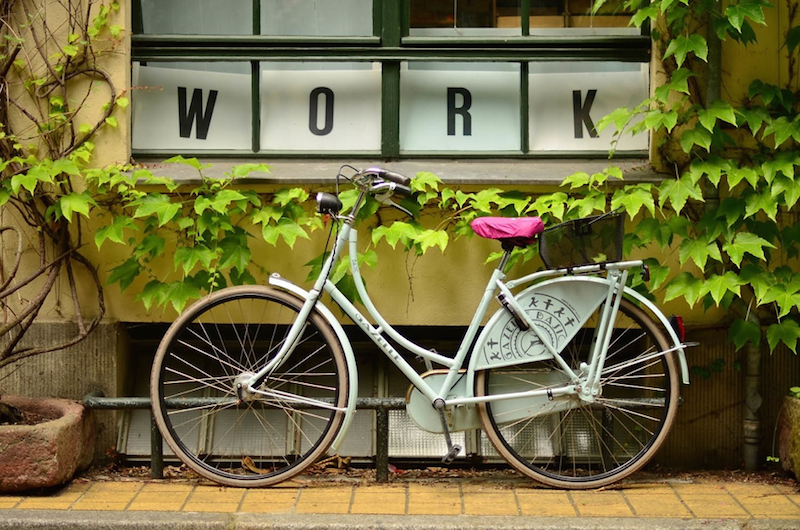 Getting to work is usually the biggest transportation need in anyone’s life; by moving closer to your job, you allow yourself to save a lot of mileage and even some sleep. And who wouldn’t like more sleep? Of course, many businesses are situated in bustling downtown areas where housing is limited and costly. If you cannot live near your job, consider moving closer to commonly visited resources. Try to find a place near your favorite grocery store or close to your child’s school to cut down on the morning commute. The more destinations you can walk to, the less you’ll need to load up the car. Have you ever gone to the store just to browse? I think we’re all guilty there. Window shopping is a favorite pastime of nearly everyone. There’s a pleasant easiness to just walking around aimlessly and looking around to see whatever catches your interest. And who knows – you may just find that special something on a whim! The problem with this is it adds unnecessary miles on your odometer if you’re in the habit of shopping or browsing to fight boredom. Try to save your window shopping trips for when you actually need to make purchases. For those times when you genuinely need to make a purchase, you won’t need to get in the car if you consider shopping online. Modern online retailers are very competitive with brick-and-mortar locations, often even writing-off the price of shipping so they can pass the savings on to you. Of course, there are items like furniture and clothing which you ought to see in person before buying. However, you can get great savings on electronics, entertainment media, and even groceries without having to drive so much as a mile down the road. Open floor plans in houses are all the rage nowadays for a reason; they allow you to entertain at home and keep everyone included in a larger space. If you’re looking to drive less, save the mileage by inviting friends and family over to spend an evening at your place. Not only will this save your car some cumulative wear and tear, it will also save a lot of cash by skipping the costly restaurant and night-life bills. You can even make it a point to carpool with friends if you’d like to take turns entertaining. Many towns and cities have excellent public transportation systems that you can utilize. And if you’ve not ridden a bus since school, you might want to give it a shot. Studies show that riding public transportation or biking reduces stress and even provides health benefits. And that shouldn’t be too surprising if you’ve ever sat white-knuckled in rush hour traffic. These alternative forms of transportation provide exercise, reduce stress, and save you money; they’ll keep your waistline trim and your sanity intact. According to the Department of Transportation, the average American spends 334 hours driving per year. Factor gas and insurance…and it’s a lot. But if you’re willing to make an effort to reduce your driving, you can save a ton of green and live a healthier and easier life. Learn more about Metromile’s pay-per-mile insurance offering and get a free quote here. Samantha Tung is a contributing author and Media Specialist for Caliber Collision. June is National Safety Month, and here at Metromile, we want to make sure our customers drive as safely as possible. Here are some important safe driving tips to keep you and your precious cargo safe while traveling on the road. Focus on driving. Don’t try to multitask while you are behind the wheel. Even if you consider yourself an expert at eating a burger while driving, it’s a distraction. Put all electronics away, and make sure to get any directions needed ahead of time. Here are some ways to prevent distracted driving. Be aware. Keep around a 3 to 4-second cushion between you and the car in front of you and maintain a safe following distance. This should allow for enough time for you to brake to a stop if necessary. If there is bad weather, consider a longer allotted time between you and the car in front of you. Plan ahead and don’t rush. If you are going on a road trip, get an idea of any stops you’ll make on the way to your destination (e.g. food, gas, or phone calls). Always make any adjustments to your mirror, climate controls, and seat before putting your car in drive. Keep everything secured. Make sure to secure cargo that may move around while the car is getting you from point A to point B. Don’t try and reach for any items that fall on the floor while driving, just wait until you are to your destination to retrieve the item. If you do need any items, like a toll pass or parking pass, put them in an easy-to-reach place. Don’t skimp on maintenance. Have your routine inspections to take care of any problems with your vehicle. Check your tire pressure regularly to avoid flats or blowouts and pay attention to your car’s brakes (if anything sounds off, here’s what to do). If you notice any abnormalities have them checked out by a mechanic. Pack an emergency kit. Just in case you are in an emergency situation, have a first-aid kit handy, as well as road flares, jumper cables, flashlight with extra batteries, and drinking water. Keep a phone charger in your car in case you need to dial 911 or roadside assistance. Safe driving is the number one priority on the road. If you are a Metromile customer and an accident does happen, follow these guidelines. If you are in need of roadside assistance and have it included in your policy, you can request roadside assistance through the app or your dashboard. We’ll do everything we can to get you back on the road as quickly and safely as possible! Earth Day is pretty important to us at Metromile. It might sound contradictory since we work in the car industry, but we pride ourselves on incentivizing customers to drive less since they pay based on the miles they drive. 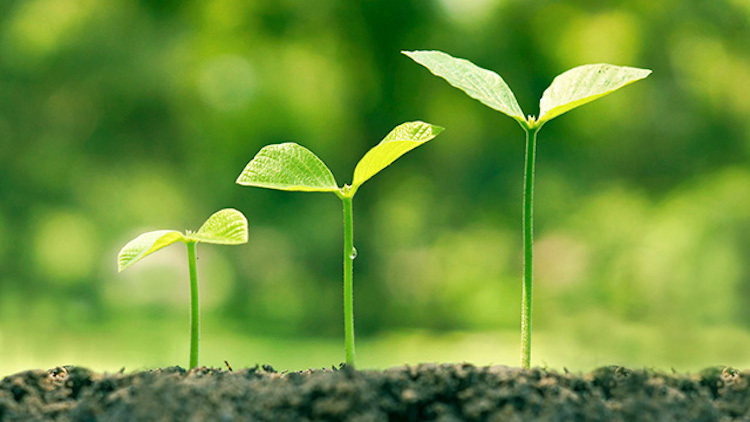 Earth Day is actually a worldwide celebration — it began in 1970 and continues to be recognized in 193 countries. In the spirit of the holiday, here are tips on how to drive less and cut down on your vehicle’s carbon emissions. Bike to work. The majority of Americans live close to their workplace. So instead of grabbing your keys to start your car in the morning, grab your helmet and start biking. Even biking one day a week can make a big impact. Check out our tips on how to enjoy your bike commute. Walk more. Get a kickstart to your day by walking to work. You’ll get a bunch of steps in before breakfast and heat up the competition in your step challenge group. Organize a carpool. Find a friend who lives and works close to you, and take turns driving each other to work. If no one comes to mind, here are some ideas on how to find someone to carpool with. An added bonus is that you can drive in the carpool lane all the way to work! Or let someone arrange a pool for you. Try UberPOOL or Lyft Line, where you share a ride with other passengers on your way to your destination. This also costs significantly less than a normal Uber ride. Invest in a hybrid car. They give off fewer carbon emissions and get better gas mileage which is definitely a win for our wildlife (and your wallet). 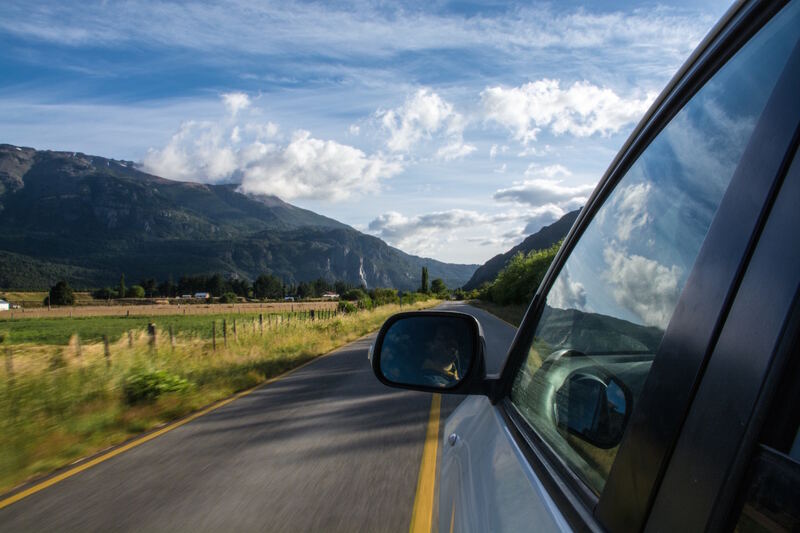 If these tips work for you and you find yourself driving less, pay-per-mile insurance could be a great fit for you! To learn more, or to see how much you could save, just click here. How Much Does a Long Commute Cost You? The following is an infographic and guest post from Anastasia Ivanov, a freelance writer and graphic designer for InvestmentZen with a penchant for flipping houses. Have you ever paused for a moment to consider how much your car commute to work might be costing you? If you haven’t, the figures you are about to encounter will make your head spin. Not only are long car commutes to work financially costly, they take so many hours that by the end of a 30-year career, you’ll have effectively spent several full months staring at other people’s tail lights. For instance, if your commute averages 26 minutes, you spend 9 full days of your life on the road annually. That’s a steep price to pay just to get to work. How about the financial impact? When it’s all said and done, car commutes can easily cost the average person up to a million dollars cumulatively over the course of a 30-year career in lost time and earnings. Considering how easily those lost earnings could accelerate your early retirement, you definitely want to take into account how far away you live from the office. Moreover, when you consider the health and environmental impact that comes with a long commute such as the increased pollution from emissions along with increased stress levels and the risk of developing high blood pressure, you’ll better understand why Metromile is so passionate about rewarding people who spend less time in their cars. Metromile’s pay-per-mile insurance is not only the most practical policy, it’s also one of the few policies available that reward you for your sound lifestyle choices. The following is a guest post from Scott Huntington, who writes about driving, cars, and more on his blog Off The Throttle and all over the internet. Follow him on Twitter @SMHuntington. You may feel safe on long car trips because you’re a careful driver, but don’t overlook the dangers of drowsy driving. It causes 7% of all crashes in the U.S. and is responsible for more than 20% of fatal vehicle crashes nationwide every year. Drivers who only sleep four to five hours can be as impaired as people who are legally drunk. Even drivers who only get slightly less sleep — one to two hours — have double the risk of crashing than someone who has the required eight hours. There are many reasons that people become drowsy drivers. They may be unable to get sufficient sleep, operate under a chronic sleep debt or having demanding jobs that require them to do activities that lead to fragmented or insufficient sleep. What can you do if you feel drowsy while driving? First, pull over and take a nap. Even 15 to 20 minutes’ worth of sleep can refresh you enough to make your driving safer. Second, drink two cups of coffee. Caffeine does work to some degree! Wait one-half hour and then resume driving. When you drive distances of 100 miles or more, take a break every two hours. The breaks will refresh you and keep you alert. If possible, treat drowsy drivers as you would drunk drivers. Don’t let people who’ve had only a few hours of sleep drive. Call a taxi or ride service, or else have a family member or friend drive them. Appoint a designated driver if you’re expecting a lack of sleep due to a party. This goes double if you plan on drinking. Above all, awareness is key. If poor habits are the cause of your lack of sleep, make every effort to correct them. Drowsy driving is dangerous, so make every effort to get a good night’s sleep to prevent accidents. If you must drive, take a nap. Make the roads safer for all of us.